We’ve taken a look at amazing car-related world records in the last article. In this one, we’re gonna take a look at yet more car-related world records but we’re looking for those that will make us go “Wow!” and “Huh! ?” simultaneously. For example..
An example of limbo-skating. This is Tiluck Keisam, a world-record holder in his own right. Just a few weeks ago in August 2017, 10-year old G Devisri Prasad from India broke the world record for limbo-skating for a whopping 115.60 meters under a line of cars in just 23.15 seconds. If you’re wondering, limbo roller-skating means to go into a split position and have your hands and lower arms of the floor the entire time. Just wow. In 1999, John Evans, a former bricklayer turned entertainer, clinched the world record by balancing a gutted Mini Cooper weighing a hefty 357 pounds or 161.932 kg on his head for 33 seconds. How he did not break his neck, I will never know. I don’t even know where to begin with this. In July 2014, Asha Rani used her hair to pull a London double decker bus with 32 people on board weighing a combined 12,216 kilograms. She pulled over 12,000kg of weight using her hair. HER HAIR. What’s the car with the highest mileage on your odometer? Maybe you’ve seen some that have hit over 100,000km, maybe 200,000? Well, check this guy out. 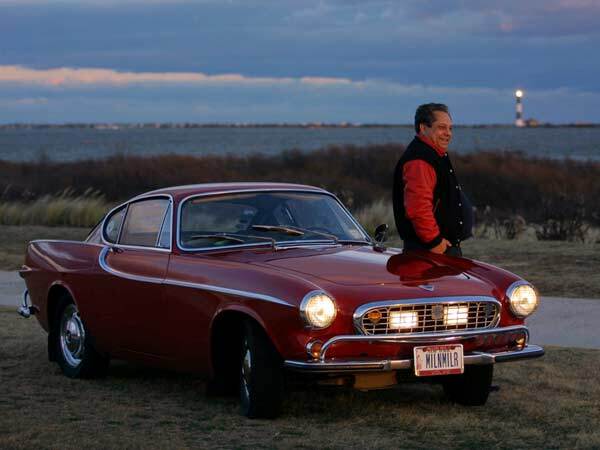 In September 2013, Irvin Gordon hit 3,000,000 miles (that’s 4,828,032km) on his 1966 Volvo 1800S. Gordon still drives his car daily and covers an estimated 140,000 to 160,000 km a year thanks to various road shows he is featured at. In total, this means he’s driven the equivalent of 120 complete circumnavigations of Earth. Gordon takes really good care of his car and currently said he has no plans to try for 4,000,000 miles. I saved the best (in my opinion) for last. Maria Lucia Mugno, a hairstylist, and Valentino Stassano owns the world’s hairiest car. How is that wacky you ask? 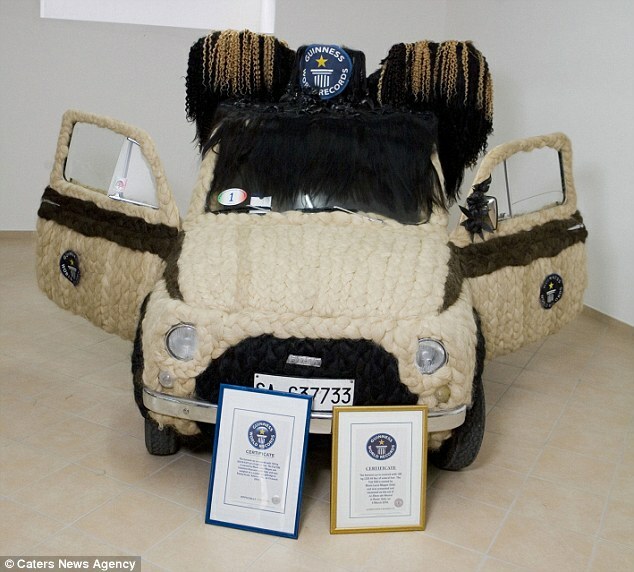 Their Fiat 500 is covered by 120kg (at the time of the world record in 2014) of natural human hair which she took over 150 hours to braid and weave into the hair-raising masterpiece in the picture above. Note that the inside is also bedecked in hair along with a hairy steering wheel. Talk about a hairy experience while driving! And that’s it for this round! There are of course plenty of other extreme and wacky world records but we’ll talk about those another time. See ya! Drive safe!